Auslogics System Information 2.1.0.0 Portable » TopFreeSoft.Net - Best Freeware Software! 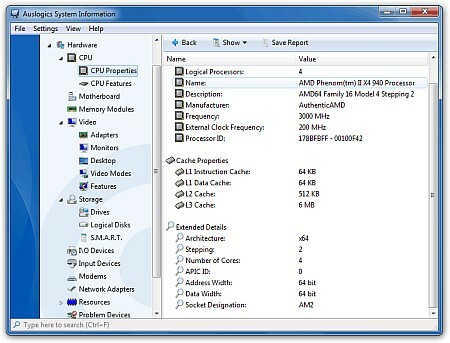 Unlike other similar products, Auslogics System Information has many advanced features. Information from pages can be placed on the clipboard with a single click. Creating a report for your IT department couldn't be easier as you merely choose HTML, XML, or plain text and press a single button. Visual charts and diagrams will help evaluate the state of your computer.